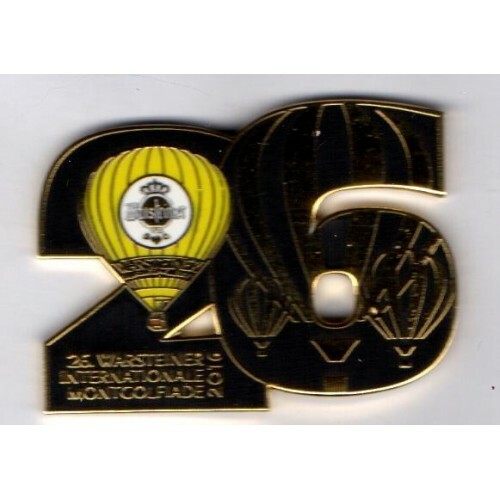 Warsteiner 26 Year Hot Air Balloon pin. 4 colours with raised gold artwork and 26. Warsteiner Internationale Montgolfiade 2016 titles. Official Warsteiner pin, limited edition of 400 pins with stamped reverse.